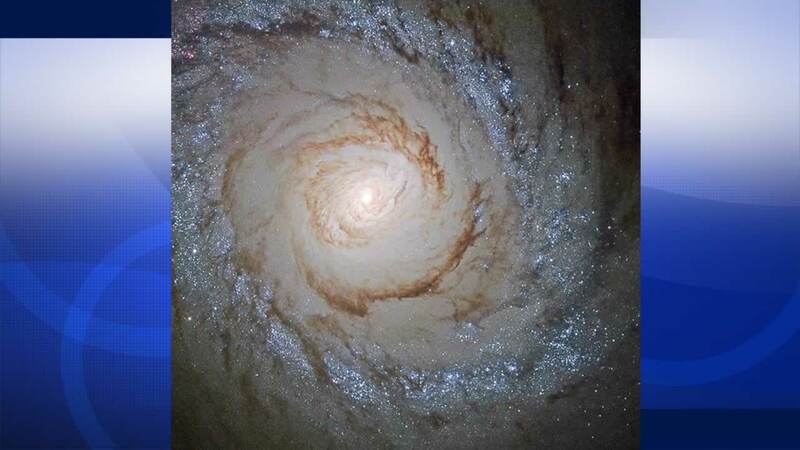 NASA released a stunning image snapped by the Hubble Space Telescope of the Messier 94 galaxy. It's about 16 million light-years from Earth. The European Space Agency says new stars are quickly forming inside a bright, starburst ring around the galaxy. As gravity pulls gas and dust together, stars are created.